The event will be held between 1:00 PM and 5:00 PM on Saturday, June 16th, 2018. The event is being held at the home of Jim and Jeannie Lalumondiere…..The Lalumondiere Mill and Rivergardens in Byrnesville, Missouri (commonly known as Old Byrnesville). Please come, at your pleasure, any time between 1:00 PM and 5:00 PM. The seven wineries and breweries will be set up the entire time to take care of your tasting desires! You will receive 3 tastings from each winery and brewery. They will also bring wine and beer to sell, by the glass or bottle. Take home your favorite spirit! 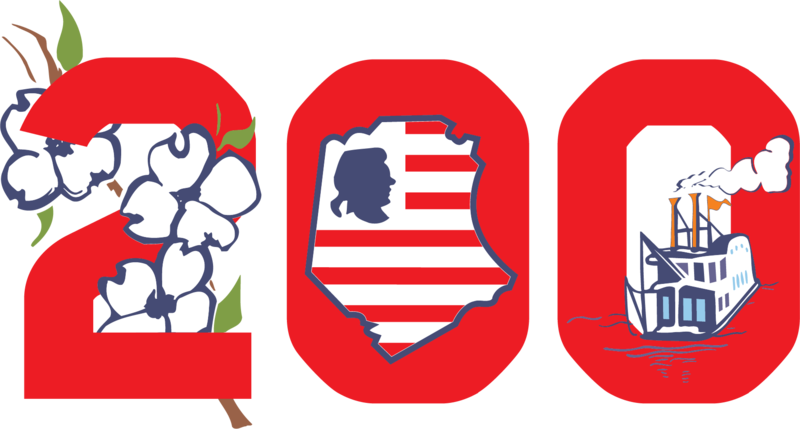 You will receive a complimentary wine glass and beer glass, with the bicentennial logo engraved on each. There will be cheese, crackers, grapes, and other hor ‘d oeuvres available throughout the day. There will be a concession truck selling food items, for those that want a little more food. There will be a musical trio performing throughout the day. The tasting event will be held on the patios, balconies, and gardens of the Lalumondiere Mill. There will be tables and chairs set up, but, you may want to bring lawn chairs if you want to take advantage of the entire, beautiful mill grounds. Bring a camera….this place is not only one of the finest historical places in the county, but one of the most beautiful. In the event of rain…..the “show” will go on !! We will have a wonderful day…..come rain or shine! Once a grist mill owned by Patrick Byrne, the Byrnesville mill was the center of commerce for the young town of Byrnesville, Mo. from the mid-1800’s and into the 20th century. The town was also home to a grocer, dance hall, blacksmith, post office and several taverns, but it was the mill that put it on the map and drew farmers and families together. In 1974 the Lalumondiere’s rescued the mill from decades of neglect. After securing the foundation, they blended their time raising children with the ongoing creation of their beautiful mill home and gardens.